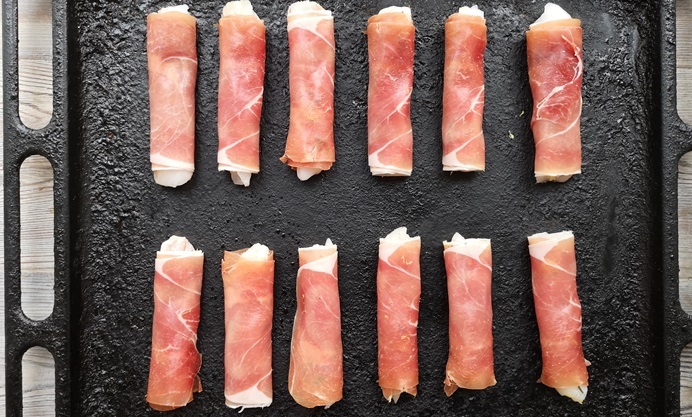 These ingenious monkfish and Parma ham canapés are served with a zingy tartare sauce for a wonderfully quick and simple dinner party nibble. 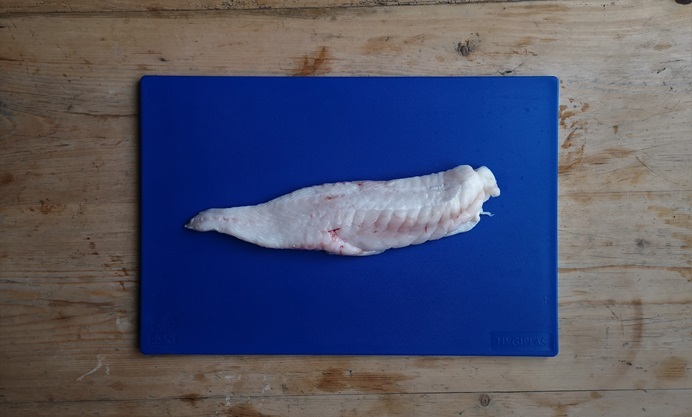 Thyme and lemon are sprinkled over the monkfish goujons before wrapping in the ham for a hint of aromatic flavour. 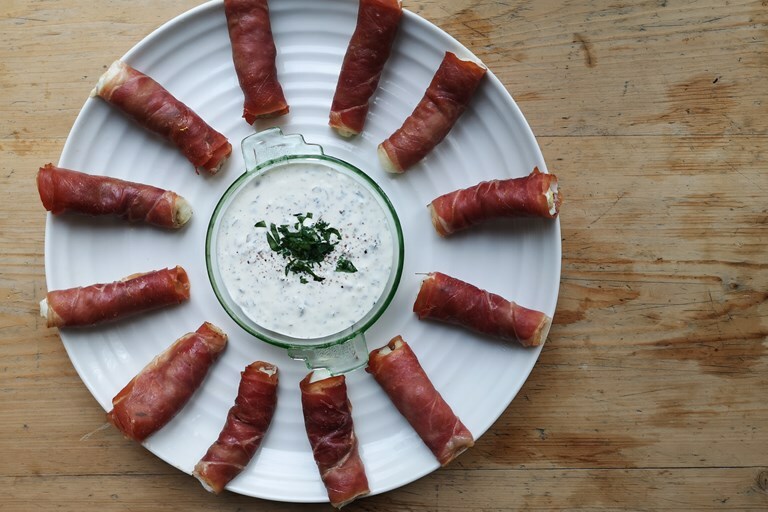 These are super easy and very quick to make. 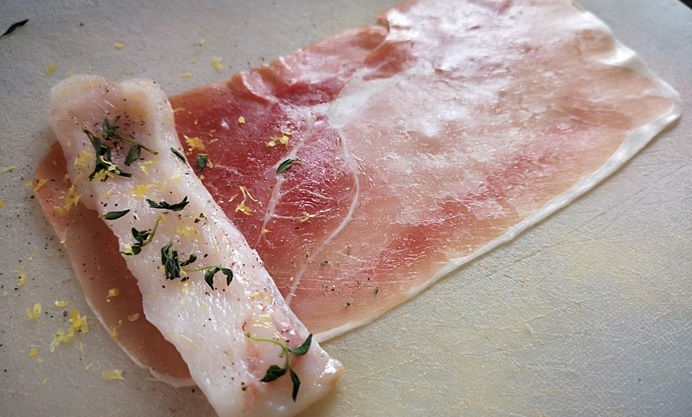 The meaty monkfish goes beautifully with the Parma ham, with woody notes of thyme and citrus zest. Season with cracked black pepper only as the ham will be salty enough as it is. 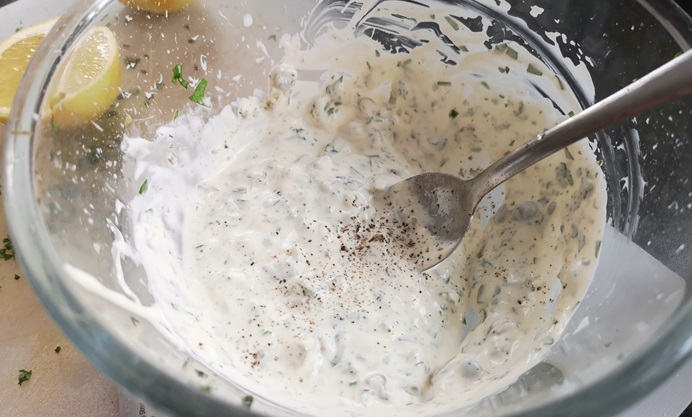 The tartare sauce is slightly lighter than your regular version – a smidgen of crème fraîche goes into the mix for a touch of sourness. 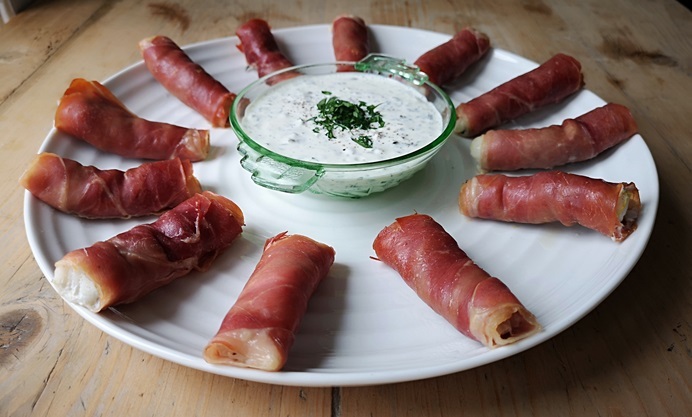 And I have used shop-bought mayonnaise to cut down on the faff. Perfect with fizz.